Well tomorrow marks the 5 month anniversary of Pirate Prerogative. This right here is my 100th post! I wasn't sure where this blogging adventure would take me, but I like the course I ended up on. I have said it before, but I cannot say it enough, THANK YOU! I truly appreciate all of you for being here and helping to make this fun. I know many of you have been with me since the beginning and some may have hopped aboard later. I wanted to share a few of my favorite and most popular posts to mark this occasion. In honor of my 5 month anniversary, I'm sharing 5 of each. 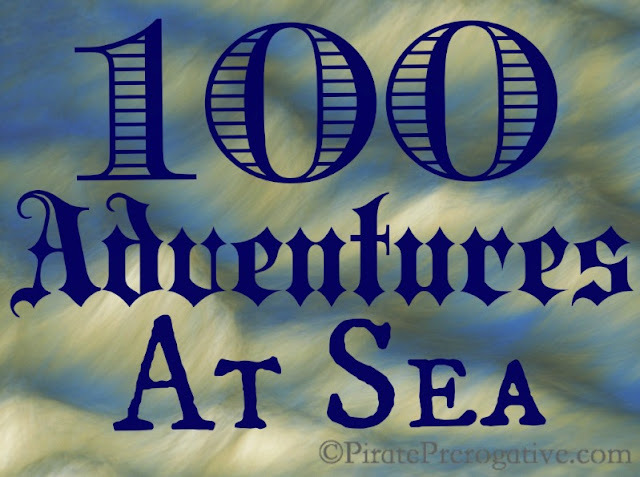 Pirate Prerogative - Why I began blogging in the first place and what made me choose my blog's name. The Mom to Mother Dynamic: This post was featured on BlogHer and details how my relationship with my mother has changed for the worse after becoming a mom. This was probably one of my most popular posts too, if you factor in the BlogHer views. Message in a Bottle: What Happens When Twitter Breaks: A fun post about when twitter broke. This truly shows my iPhone and social media addiction. Punchy McShort Fingers: My birth story, well I suppose my son's birth story. How could I not put this on the list of my favorites. Pirate's Log December: I had a lot of fun writing my posts in December and couldn't narrow it down enough so browse through the links check them out. Sea Dog Saturday -Cash: This had been the most viewed Sea Dog so far. I think it's his handsome face and all those Boston Terrier lovers out there. 10 Expert Tips for Buying Lingerie: This one was just last week during my week of love for Valentine's Day. My day job merged with my blogging life and I shared my expertise on the subject of lingerie. NEVERland: I would probably add this to a favorite post of mine too. I had an idea of what I would and wouldn't do as a mom. However, things sure to change when a baby shows up. Sea Dog Saturday - Denali: Another Sea Dog made the popularity list! Denali is a fluffy girl and started a trend of big dogs on the blog. Remember your dog (or pet) can be popular too, just fill out this quick form. Small Business Saturday: A spotlight on some of my favorite small businesses and the cool stuff they do. I originally posted this the weekend after Thanksgiving, so the sales have most likely ended. However, please go show your support. There is still a ton of cute stuff!